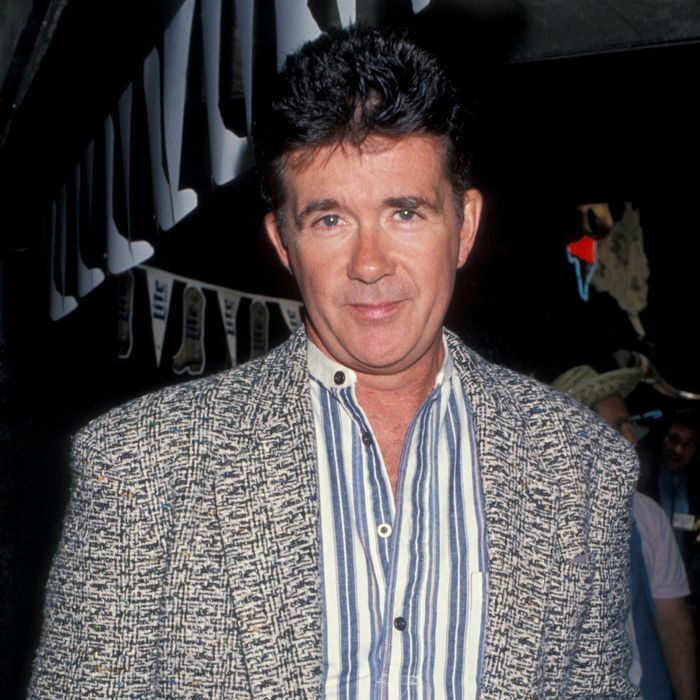 When most people think of Alan Thicke, who died of a reported heart attack on Tuesday at the age of 69, it’s the image of him as Dr. Jason Seaver, the psychiatrist dad on Growing Pains, that immediately pops to mind. But that was just one of the many varied roles that Thicke played, both in front of and behind the camera, during his long TV career. He was versatile, as evidenced by the myriad things he did before landing that role as the father of Mike, Carol, Ben, and, later, Chrissy Seaver. Thicke composed music for multiple TV shows, including, most memorably, the themes for Diff’rent Strokes and The Facts of Life, which he co-wrote with former wife Gloria Loring. He produced and wrote for Fernwood 2 Nite, a short-lived ’70s talk-show satire that starred Martin Mull and Fred Willard and went on to become a cult favorite. He hosted his own Canadian talk show — The Alan Thicke Show — which led to his own American late-night program, Thicke of the Night, a syndicated program that briefly functioned as the poster child for late-night failure, until The Chevy Chase Show came along to grab that baton. But looking back at a career that’s now suddenly been cut short — the man was still working, appearing in recent episodes of This Is Us and season two of Fuller House, which just landed on Netflix a few days ago — it’s clear that one of the best things Thicke had going for him, aside from a broad skill set, was consistency. He kept going, even after Thicke of the Night threatened to end his career, and even after Growing Pains ended its run after seven seasons. The latter show was not a groundbreaking sitcom. It wasn’t even the best family sitcom of the ’80s. (That distinction would be reserved for The Cosby Show, or Family Ties, or Roseanne.) But Growing Pains was entertaining. It effectively did the thing that network sitcoms, at least at that time, were designed to do: tell stories that everyone in a family could appreciate, and that provided reassurance that everything would turn out okay. Dr. Seaver worked from home, practicing psychiatry from that little office not far from the Seavers’ front door so that his wife, Maggie (Joanna Kerns, also still working, mainly as a TV director, by the way), could resume her career as a journalist. As a preteen watching this show, I gave no thought to the fact that this dad was able to occupy his work and home worlds, not unlike the way Cliff saw patients in the Huxtable basement so he could be closer to the family, too. In a quiet way, it set a great example for how to reimagine parental roles and careers. Maybe that’s also what defined Alan Thicke, and made him a memorable sitcom dad in a sea of sitcom dads. He was self-deprecating, he understood family, and he knew what his strengths were. We viewers were fortunate that he kept on playing to those strengths, right up until his body decided he had finally reached the end.